Welcome to Tour Tracks, a recurring feature here at BCDN where we'll fill you in on the Billy Casper Golf courses near the prominent professional golf stops of the week. This week, the PGA Tour is near New Orleans -- Avondale, La., to be exact -- for the playing of the Zurich Classic of New Orleans. Billy Horschel defends his title against a top-tier field, including the "Big Easy" himself, Ernie Els. Billy Casper Golf boasts a pair of courses within reasonable driving distance of TPC New Orelans, host to the tournament. Just 25 minutes from TPC New Orleans, City Park Golf Course's North Course is golf in the heart of the city. City Park isn't long, maxing out its four sets of tees at almost 5,740 yards down to about 4,300 yards from the forward Gold tees, City Park offers a challenging-yet-fun round for all levels of golfers. Water comes into play on eight of the holes and adds to the challenge, making club and shot selection important. NGCLA is a little bit of a haul from the Big Easy, totaling about 3 hours, but it's well worth it. The course is fun and challenging for golfers of all levels. Five sets of tees allow everyone from the recreational golfer to accomplished single handicappers to enjoy themselves. 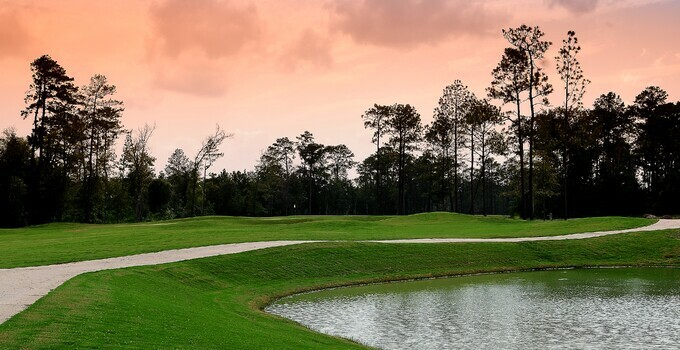 Featuring 14 lakes, 80 bunkers and some of the area’s most challenging greens, The National’s 7,000-yard championship layout not only provides a great golf experience, but it’s beauty alone will have you coming back after the tournament ends.